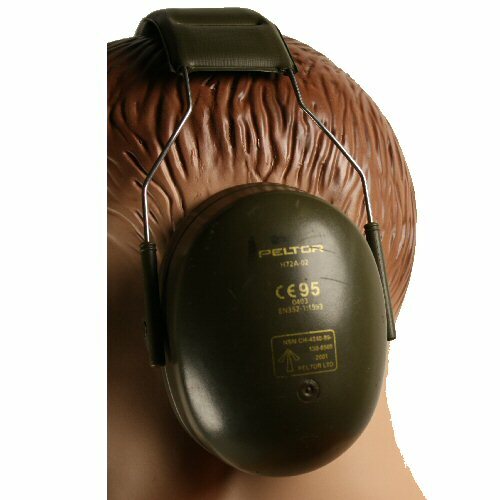 The British Army non-folding Peltor Ear Defenders H72A02 offer a high level of protection against sustained loud noise and sudden noise shockwaves, such as encountered when practicing with artillery. The non-folding ear defenders offer greater protection than the folding ear defenders but are less convenient to carry and do not have the cutaway lower edge for reducing interference with cheek weld when shouldering rifles and shotguns. The height of the ear muffs can be adjusted to fit the wearer. The ear pieces are hard-cased, with easy to clean cushioned vinyl next to the skin. The foam cushioning seals around the ear to prevent leaking of sound into the ear piece cavity. The ear defenders are used army surplus. 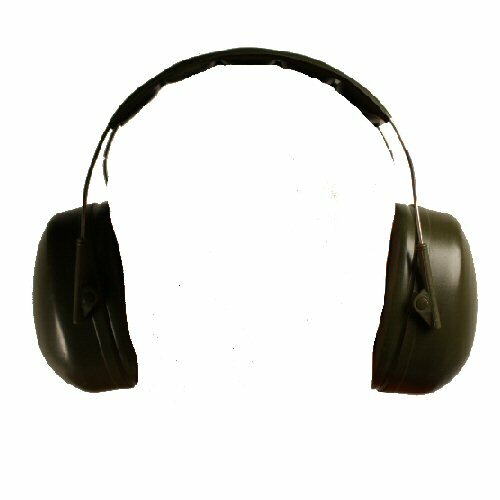 We regret that we can carry no liability for use of these defenders as ear protection as they are ex government disposed of items. Side view of the ear protectors.